Blog Get Connectify and Speedify from the Humble Software Bundle: Happy PC! Looking for an awesome bundle deal? Unfortunately you’re too late for the Humble Bundle offer, but you can get both Connectify Hotspot and Speedify from our store at a very discounted rate! Keep your PC happy and support a charity! Here at Connectify it’s always been about supporting each other. The core of our team goes back over 10 years and we’ve been happy to see each other grow, establish a family, have kids and live a significant live so far without any mishaps. But we know that not all of us have been as lucky and we do our best to help them in the way we know best – most recently offering Connectify Hotspot and Speedify free for Cuban citizens. We want to do even more, so, we recently joined forces with HumbleBundle for a 2 weeks campaign where you, as the customer, will get a fully-geared and optimized PC. And, most important, you will be supporting the Prevent Cancer foundation, the V Foundation for Victory over Cancer, or a charity of your choice among the hundreds you can choose from. Starting April 25, 2017, you will be able to get both our titles – Connectify Hotspot and Speedify VPN – as part of the Happy PC bundle for only $15+. The way HumbleBundle works is that you pay what you want for the deals they have prepared for you, since part of the money goes to support the charities as social responsibility. We encourage you to check out the campaign, see what other products would be useful to you and buy them there. Get some good karma going for you! Help us Support Some Great Charities! 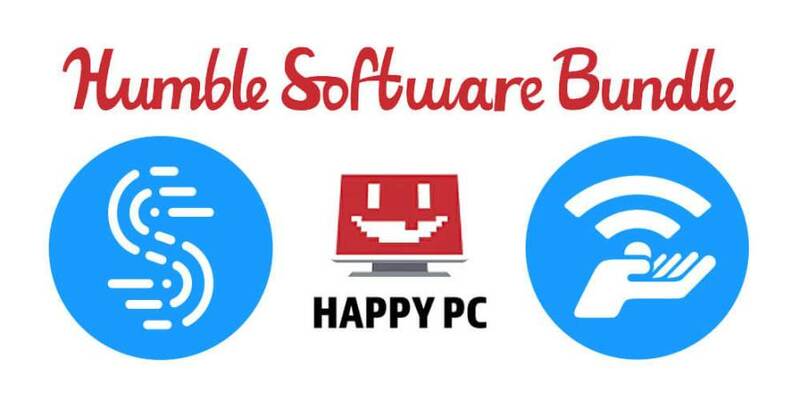 Get Connectify and Speedify today from Humble Bundle's Happy PC Bundle.